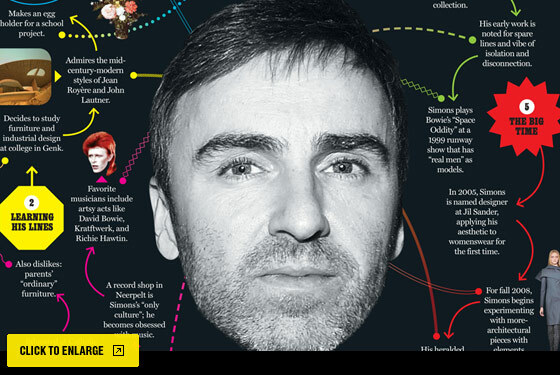 Raf Simons, the low-key 44-year-old Belgian designer just named artistic ­director of Dior, represents a big change from his predecessor, the flamboyant John Galliano. The clothes he makes look different, too. Here, the influences that have shaped and reshaped Simons’s aesthetic.